Our AGM is on Wed August 29. The hall will be ready to receive you at 6.30pm for 7pm start, at the Guide Hall in Faversham Rd Canterbury. The AGM will be in the first half hour of our motherly meeting and will run from from 7 pm – 7.30 pm, and will include the Convenor’s report on our achievements this last year. We have an earlier start for this purpose, so food and drink will be available earlier than usual from 6.30pm. From 7.30 onwards, we will be listening to two very different speakers and approaches to this critically important issue. We know it is already too hot for a safe climate. So what can we do? We can start to accelerate carbon drawdown to slow down and look to reverse fossil fuelled climate damage. What does research tells us about the best way to do this. We are lucky to hear from luminary A/Prof Malte Meinshausen, a IPCC Lead Author and Director of the prestigious Climate Energy College at Melbourne University and Co-Director of Australian -German Energy Transition Hub. 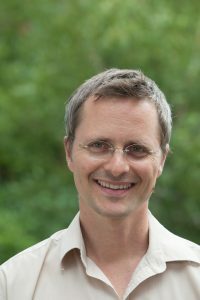 Malte holds degrees from Swiss Federal Institute of Technology and University of Oxford, including a Post-Doc at the National Centre of Atmospheric Research, Boulder, Colorado and joined the world leading Postdam Institue for Climate Impact Research (PIK) in 2006. 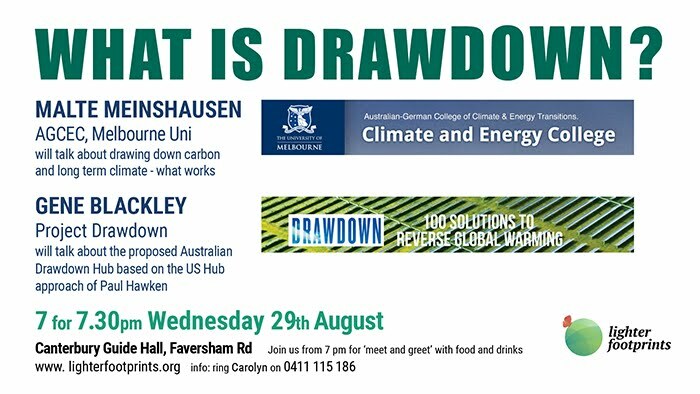 A/Prof Meinshausen will look at the bigger picture on carbon, the long term and what can be done. Gene Blackley comes from a different direction to Drawdown. 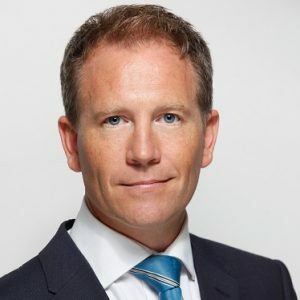 Following a 20-year international career in corporate sales and marketing, Gene has totally changed direction and is now working on the establishment of a Project Drawdown Australia hub for research, innovation, implementation and communication of a collective array of substantive solutions to reverse global warming. Gene is now a “sustainability evangelist” who advocates for a more socially equitable and environmentally sustainable world. 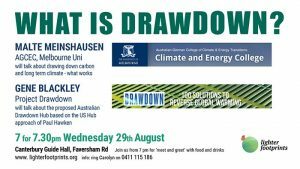 Drawdown is a critical goal for avoiding climate catastrophe. Project Drawdown presents the most comprehensive plan ever proposed to reverse global warming. A diverse group of researchers from around the world identified, researched, and modelled the 100 most substantive, existing solutions to address climate change. What was uncovered is a path forward that can roll back global warming within thirty years. It shows that humanity has the means at hand. Nothing new needs to be invented. The solutions are in place and already in action. Here is our Facebook Event – please if you are on Facebook tap on the link and press “Going”! It all helps get more pushout from Facebook.